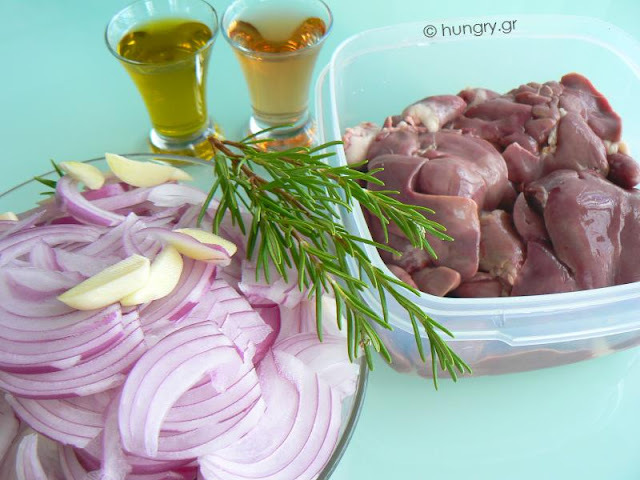 Fresh chicken livers, cooked with onions and flavored with rosemary. 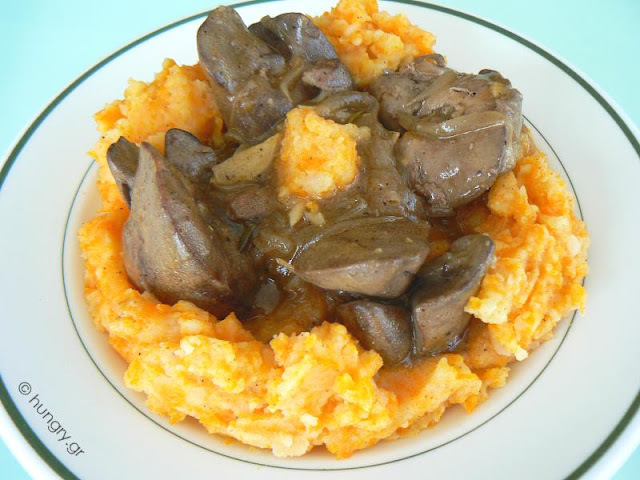 The sauce concentrates the aromas of ingredients and in combination with mashed potatoes and carrots becomes a delicious and hearty dish. 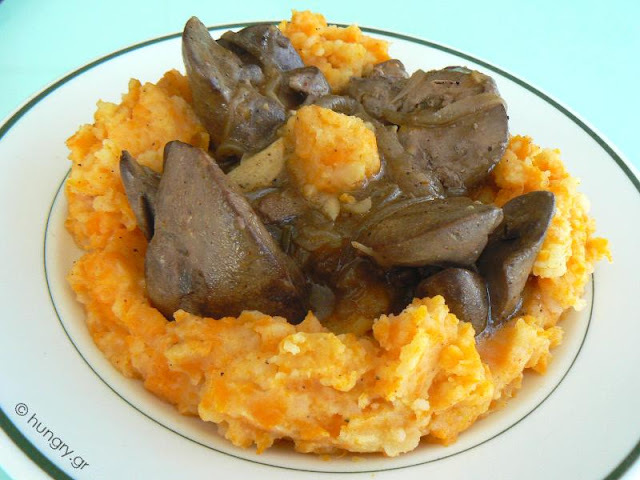 This dish, called "Fegato alla Veneziana" in Italian, is one of many typical recipes of traditional Venetian cuisine. 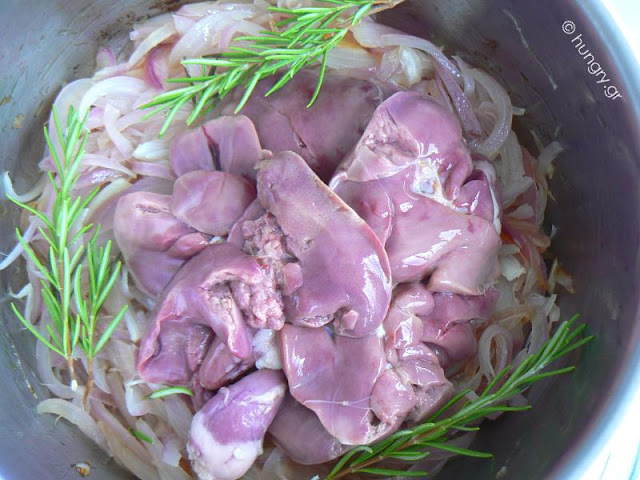 Among the various Italian dishes, this is definitely one of the most popular worldwide for its unique and distinctive flavor, which unites the taste of the liver with the aroma of onions. 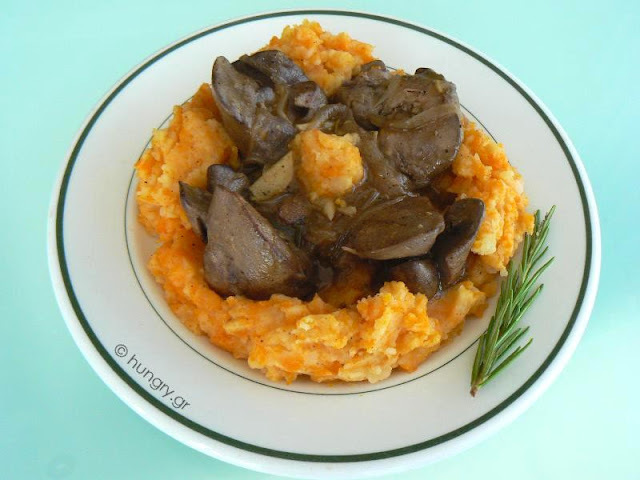 The origins of this dish is said to be from Roman times, where they used figs to cook and cover the strong smell of veal liver. 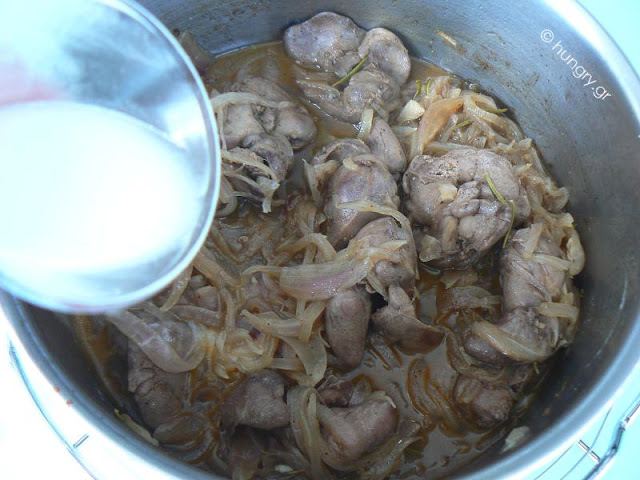 The Venetians, over time, replaced the figs with onions and made this recipe part of the famous Venetian cuisine. Peel and cut onions in crescents. Put the oil in small saucepan and sauté until they soften and become transparent. Clean the livers, wash and dry. Put in the saucepan with the sprig of rosemary. Mix and let sauté over medium heat for 5'-6'. 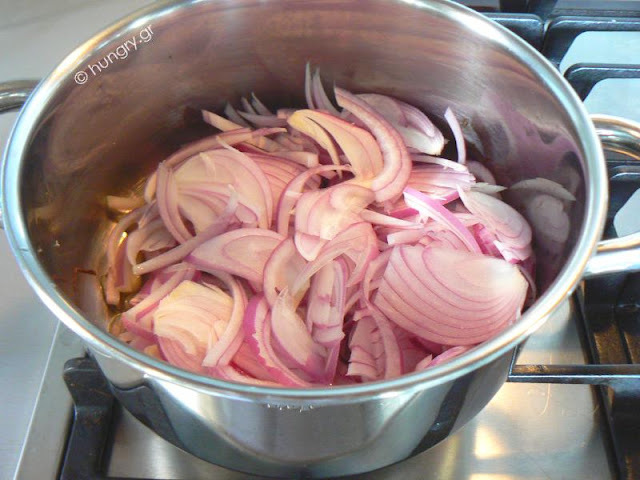 Add a shot of vinegar, cover the saucepan and simmer for 30′. Check at intervals, stir, and if it needs water, add a little hot. 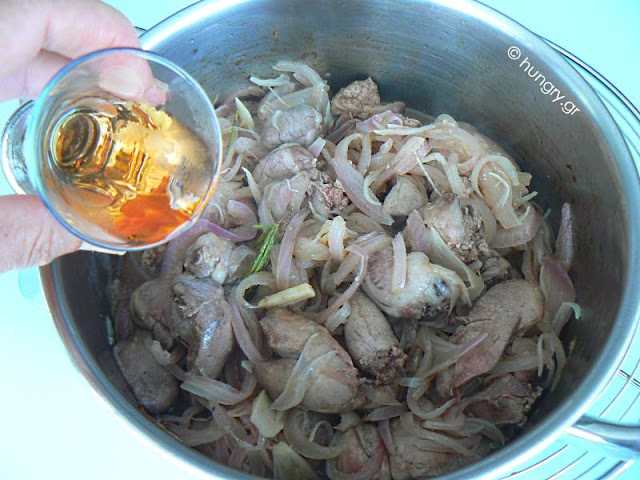 When cooked and the sauce has condensed , dissolve the cornflour in a shot of water and add to food. Mix, allow to boil and remove from heat. For the mashed potatoes peel and boil 2 large potatoes with 4 carrots. Once boiled, mash them and add a tablespoon of butter to melt in the heat of vegetables and a little evaporated milk adjusting the density.